The botanical name of Japanese Cedar is Cryptomeria japonica. This means “Secret Japanese property”. In addition, This kind is different from other Cedar and, in fact, is a Japanese endemic species. From the prehistoric age, people in Japan had incorporated Cedar into their life, not only as utensil tool , It had become widely used up to tableware, furniture, a housing part, a God tool and Buddhist altar fittings. 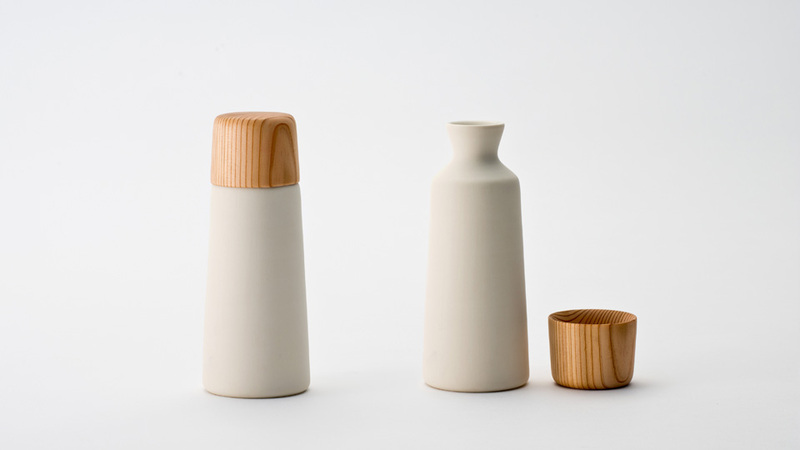 Especially Yoshino Cedar is the high quality wood used to a pail or a sake barrel. 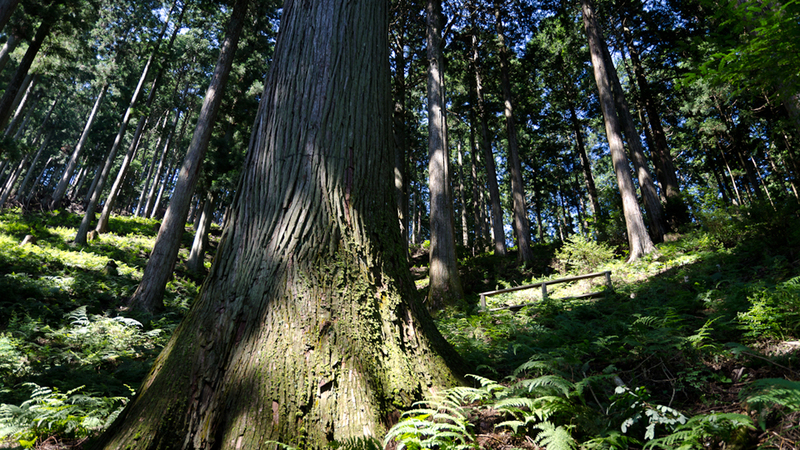 Because It needs to be strong high density enough for leakproof, Yoshino Cedar is planted with extremely high density in order to make annual ring width narrow. This process needs a long period of time. However from the mid 20th century, as the westernization had accelerated in the Japanese common life style, and Cedar not used very much. As a building materials, Japanese-Cedar was taken over by Import material. It led the plantation was abandoned and a lot of mountain ended up desolated. 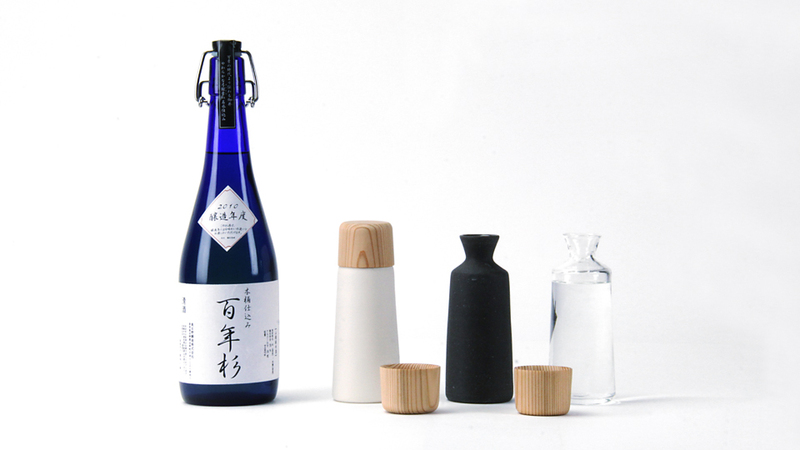 This small sake cup and sake bottle is made for enjoying Yoshino cedar by the five senses. 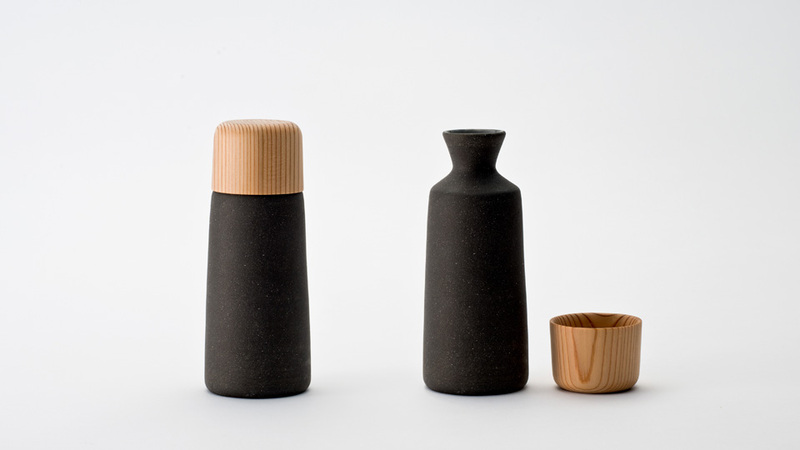 Earthenware sake bottle for warmingsake or glassware sake bottle for coldsake, and to each sake bottle, a small sake cup made of Yoshino Cedar is attached. 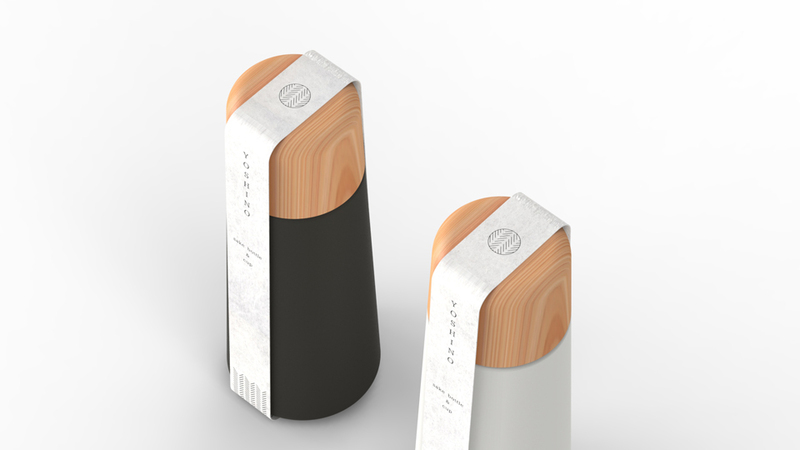 The cylindrical shape, in tribute to the Cedar, has designed for the modern lifestyle. 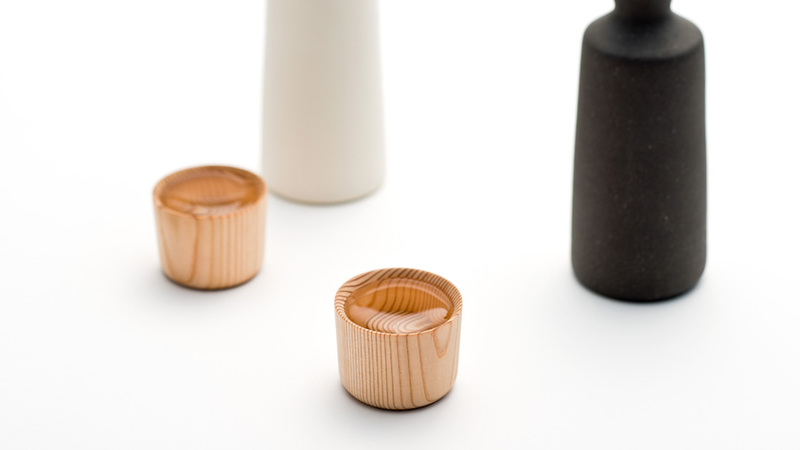 Once you pour sake to this sake cup, you’ll smell the refined fragrance of Yoshino Cedar in the air, and it bring back a slight sense of good old Japanese scenery. This ravel made of the Japanese traditional paper which is called “WASHI”. The mark on the top of the ravel is the Japanese traditional pattern means the Japanese cedar. 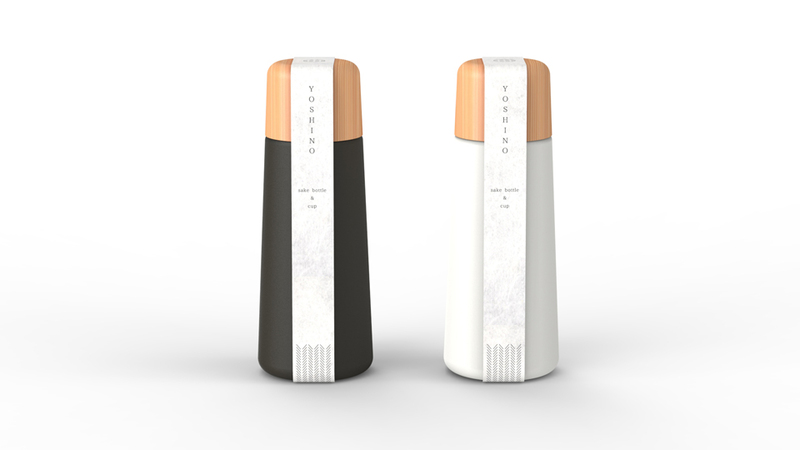 Package design : Atsuko Osaki / Doogdesign.